Increase Profits by learning new punting skills! February 1, 2019 February 2, 2019 - 2 Comments. The weather in the UK is having a major impact on the racing scene none more so than the National Hunt arena with meeting after meeting being lost to the elements. The prospects for the coming weekend are still finely balanced with Wetherby and Musselburgh’s two-day meeting already lost but there was more positive news regarding Saturday’s fixture at Sandown. The clerk of the course Andrew Cooper revealed on Friday that the track looks increasingly likely to race and currently Lingfield, Chelmsford and Kempton are all due to stage all-weather fixtures on Saturday, while Leopardstown also hosts the first afternoon of the Dublin Racing Festival. At times like these we can either baton down the hatches or use the time more productively by learning a new punting skill, or possibly brushing up on a previously used one. 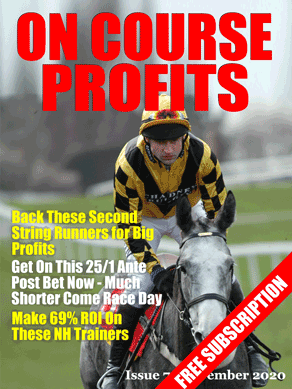 The Betting Insiders Club continually strives to help its members with new angles/strategies and a great example of that is the brand new Weekly Members Report, Issue 169, which went live on Friday. In this edition there is a cracking piece from Gary “The Boz” Boswell who shares his unique take on the “Art of Paddock Watching” and as ever with Gary B it really does make for a thoroughly enjoyable read. The latest report also includes a trio of Ante-Post fancies, at big prices, for the Cheltenham Festival along with some interesting “Risk-Free” punting techniques from our resident Arbitrage Guru. The Weekly Members Report forms an integral part of the comprehensive Insiders Club package so if your previous efforts have not delivered the level of returns that your punting exploits had aspired to then why not make a change for the better and check out how the Insiders Club can help 2019 be more profitable. You can find all about it here. Hopefully Sandown will go ahead tomorrow and you can find out what our Big Race Guru fancies at the track by clicking here to read on. Why when I click on either of the above links to the new Weekly Report does it take me to one of your adverts asking me to join Betting Insiders. I’m already a member! This also happens any time I try to click on On Course Profits and Gold, even though I pay a sub for Gold as well. Very annoying. I’m not really sure what is happening. The links on the page that you have commented on go to the forum and the members area, via a log in page. There is a Join Us link and a sales video link but they are labelled as such. With regards to On Course Profits if you go to https://oncourseprofits.com/gold and log in you will have access to all the magazines or you can scroll to the bottom of the sales page where there is a log in link.